Thanks for stopping by! 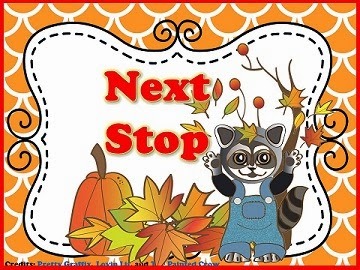 Welcome to the Getting Festive for Fall with the Virginia Bloggers Blog Hop! 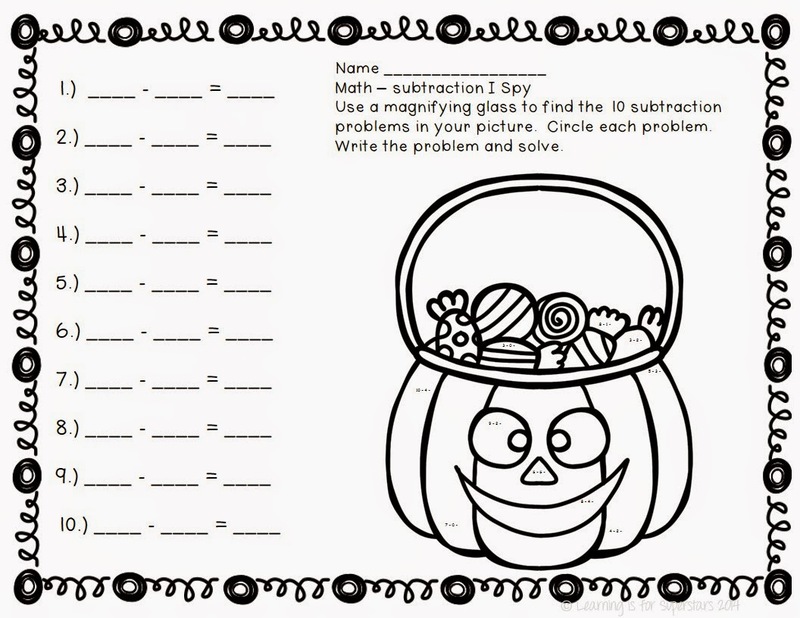 Your freebie is a Halloween subtraction unit. We have student choice math centers on Fridays. One of my new favorite activities are clip cards. I have some support during my math lessons, so when clip cards come out, any adult walking into my room knows exactly how to help! There are 6 pages of clip cards (one page is shown below), totaling 36 cards. 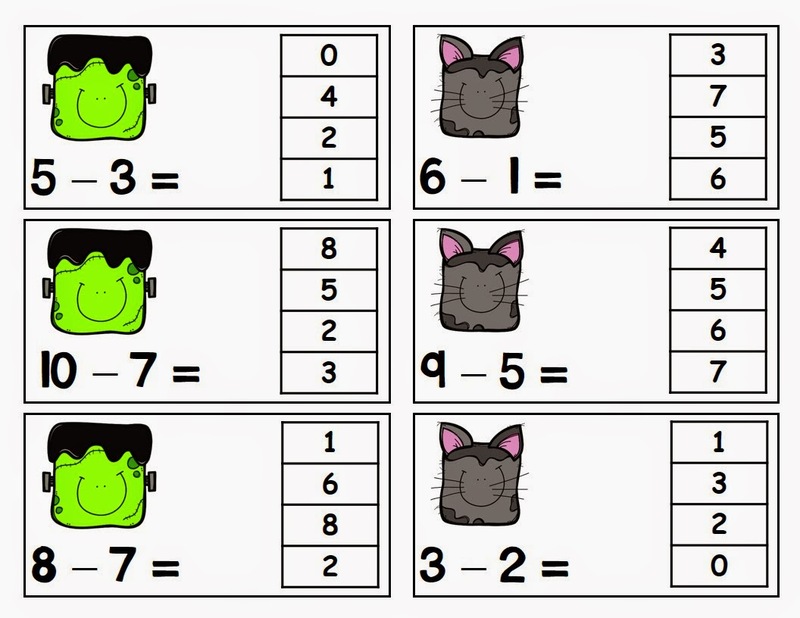 I have also included 2 subtraction I Spy printables. Just print and go! Provide the children with a magnifying glass and they will be set! Answer keys are included. This looks like a great activity. If I taught math, I know I'd make great use of it. Thanks for joining in the hop, especially with so much going on. This will be great during my math rotations! Thanks! 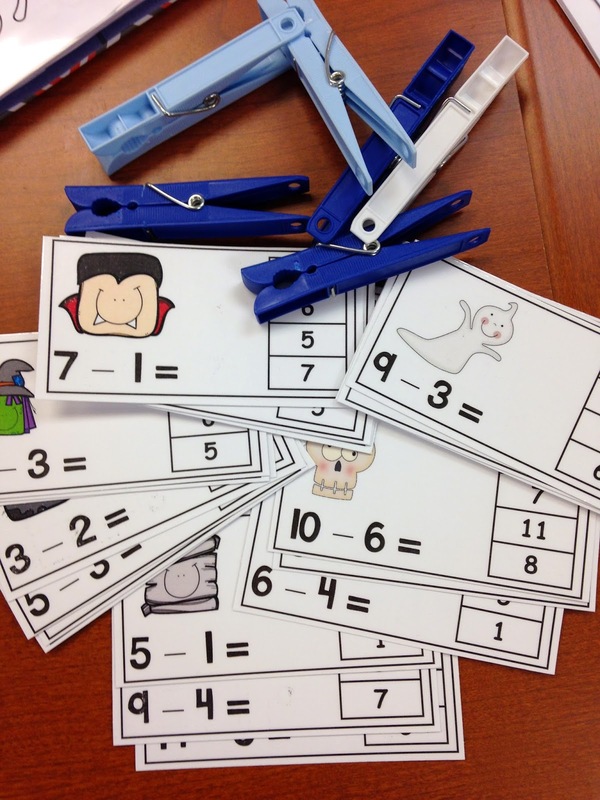 A perfect math station for my kids...and I have quite a few that can benefit from incorporating fine motor skills! Thanks! !